£3.89 – £5.88 Price Inc 20% VAT on applicable items. Use one bit for all applications. 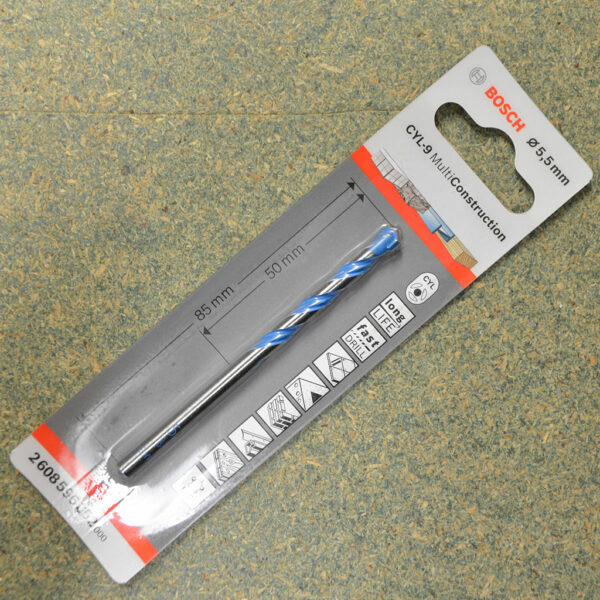 Innovative drill bit from Bosch for steel, wood, masonry, uPVC, ceramics and concrete multi-layered materials. Diamond-ground cutting edges allow fast drilling even in hard materials, prolonging battery life in cordless drills. Tough head construction gives long life in rotary and impact mode. Can be used with Rotary & Impact trouble free. Multi construction bits come in sizes: 5.5 x 85, 6 x 150, 6.5 x 150, 7 x 150.